Price is per 18.9m2 Project Pack. Slabs per pack : 900x600mm 16no, 600x600mm 16no, 600x290mm 16no & 290x292mm 12no. 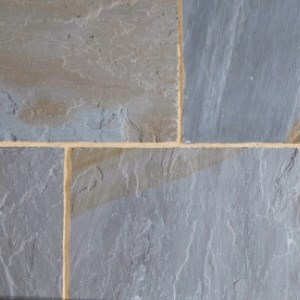 Yorkshire Blend is a traditional sandstone with a naturally riven finish displaying a similar colour palette to the distinctive ‘York Stone’ with varying grey and buff blends.